Cross Wireless is a leading privately owned and operated company based in the US and operating primarily in the Telecommunications industry. Also doing business as Sprocket Wireless, Cross Wireless offers telecommunication services which include telephone services, cable phone services, sbc telephone services and long distance telephone services to the consumers. Founded in the year 2001 in Oklahoma and incorporated the same year, Cross Wireless has risen steadily to become one of the leading telecommunication resellers in the Oklahoma with the latest annual revenue estimates placing its revenue at about $1 million. Cross Wireless is based in Muskogee, Oklahoma . 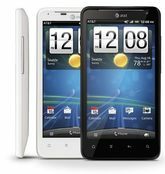 There are currently 0 consumer reviews about Cross Wireless available. Share your review. Please take a note that you are about to post a public review about Cross Wireless corporate office on CorporateOffice.com. This review will be public, so please do not post any of your personal information on this website. If you would like to contact the corporate offices of Cross Wireless, please use their contact information such as their phone number, website, and address listed above to contact them. However, sometimes staff from Cross Wireless headquarters do read the reviews on this website.